For big brands, Google+ is probably a good investment — but is Google+ an efficient use of time for small businesses? Google unveiled Google+ brand pages in November, enabling businesses and brands to join its social network. Since then, big brands — including Pepsi, Macy’s and Toyota — have jumped on the Google+ bandwagon, creating yet another hub page for their content-hungry fans. We reached out to our community to better understand how (and if) small businesses are using Google+. We received more than 50 responses detailing the merits and downfalls of using Google’s social network as a small business. Below are some of the top thoughts on the pros and cons of using Google+ as a small business. Read on and add your thoughts in the comments below. A bulk of the small businesses we spoke with said they feel Google+ is an important social platform because it was developed by Google, one of the Internet’s favorite brands and one of the most influential websites when it comes to site referrals. But small business owners gave a plethora of reasons for being early adopters of the platform. 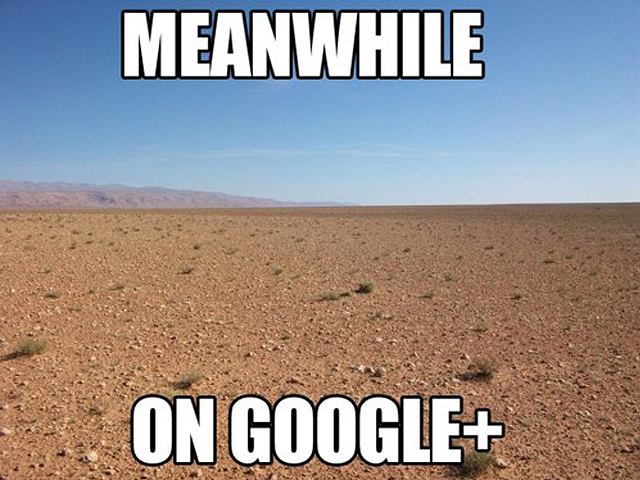 Here are some of the top reasons we heard for using Google+. 5. Segment Your Audience: “The obvious benefit of Google+ is that it allows us to share select content with specific audiences,” says Chad Udell, managing director of Float Mobile Learning. Google+ makes it easy for businesses to segment their audiences and share content directly with those certain groups of followers. 6. Use Google+ to Network: David Greenberg, president of Parliament Tutors, says that his business does not have a Google+ page, but that he uses his personal Google+ page to network and gather contact data and research the “personal side” of relevant contacts, such as journalists and potential clients, so that he can better create a connection with them. He adds that the “About” section of a contact’s Google+ profile is usually a great start. While most of the small business owners we spoke with had a very positive outlook for Google+, we also spoke to a number of skeptics who identified numerous flaws in the social platform. Here are the top five reasons that small business owners gave for limiting their engagement on Google+. 3. Social Dashboards Don’t Integrate Google+ Yet: While more progressive social media dashboards, likeHootsuite, have integrated Google+ into their products, many social dashboard services on the market do not enable users to post to Google+. For businesses that manage their social presences from one central location, the lack of Google+ integration is a huge barrier to Google+ usage. Is your small business using Google+? Why or why not? Share your thoughts in the comments below. When Apple released the iOS 5.0.1 update last month, it not only tried to fix the battery life issues and bring a couple of features to the table, but also made the Siri port legally possible for the iPhone 4. As a direct effect, developers are already working on a project called “i4Siri,” which will hopefully bring the personal assistant to the last year’s iPhone in a legal way. There will still be a need for older devices to run iOS 5, but with a couple of Cydia tweaks and utilities, Siri will probably help you get things done on your iPhone 4 soon. Check out the video teaser above while you’re waiting for the port to finally be released.